Organic food is grown with only natural fertilizers. Weeds are controlled naturally by crop rotation, hand weeding, mulching, and tilling, and pest are controlled by using only natural methods such as birds, and insects. These methods are natural and healthy for the entire eco-system. Conversely non-organic foods are grown using synthetic pesticides, genetically modified organisms (GMO's) also known as bioengineered genes, petroleum-based, and sewage sludge-based fertilizers. Not only does it effect anyone or anything that eats them, but it also is a form of pollution to our eco-system. So support organic foods when you can. 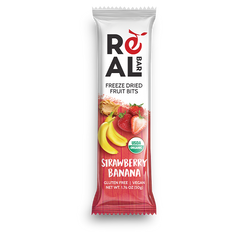 Certified Gluten Free products are products that undergo testing and stringent inspections to ensure those products are gluten free and are not contaminated with gluten from other gluten containing ingredients at the same manufacturing facilities. 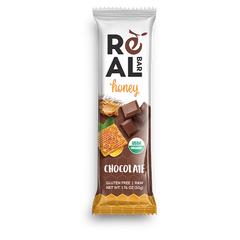 By obtaining this certification consumers seeking gluten free products can rest assured that the products they are purchasing have completed all Gluten Free safety standards required by the certifying body. Not only does kosher satisfy the religious dietary rules of one-fifth of the world’s population, but many people also buy kosher higher quality and increased food safety. Products certified kosher indicate that they have undergone rigorous inspections. A 3rd-party agency guarantees the highest regulatory standards. All ingredients are examined and approved by independent inspectors, and production facilities are under continuous compliance inspections. People with health restrictions, such as food allergies, buy kosher because the certification process ensures that nothing that’s not supposed to be in a product has gotten in. Real Bar is real. It's raw whole food, that's alive and nutritious. 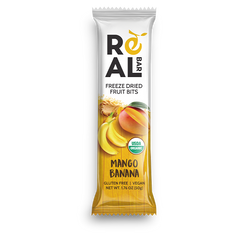 Our Real Bars are all cold-pressed which leaves the living enzymes and bio-available nutrients intact and undamaged.